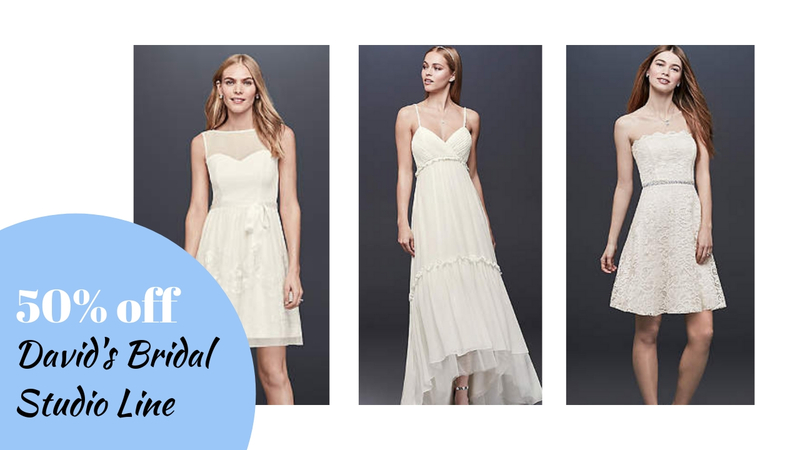 Whether you are wanting a wedding dress or a new fancy night out dress, check out the Studio Styles line at David’s Bridal. They are currently offering 50% off all of the dresses in the Studio line with deals starting at $49.99 after the discount. Many of these would never appear to be a wedding dress unless you were about to walk down an aisle somewhere… so think outside the box and have a great deal on a dress that would look great anywhere. Sale ends 10/29. Shipping is free with $129+ orders or starts at $8.